You can remove a Contact from both the Box view and the Pipeline view. Hover over the Contact or Organization you want to remove from the box and click into the three-dot menu to the right. Please note that removing a Contact from a Box will not delete a Contact. 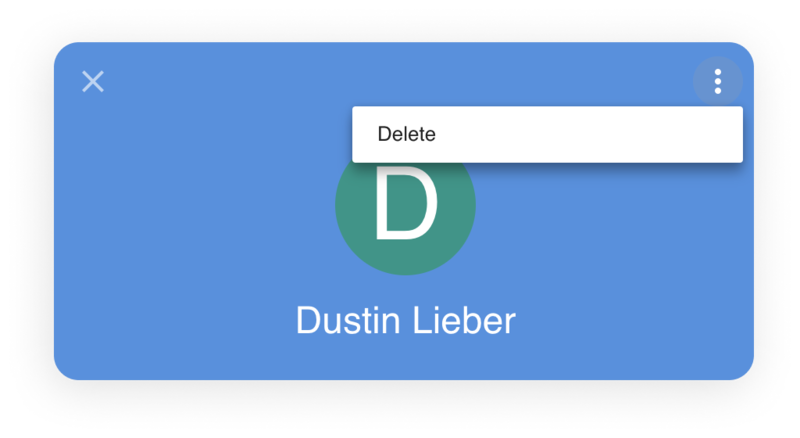 Deleting a Pipeline will also not delete your Contacts, as they're attached to Teams. If you made a mistake when creating the Contact or Organization, you can remove it from the Team entirely. Open the Contact and Organization drawer by clicking directly on their name/card. Click the three dot menu in the top-right corner and select the Delete option. After reading the implications of deleting the contact, confirm deletion with the Delete Contact button.